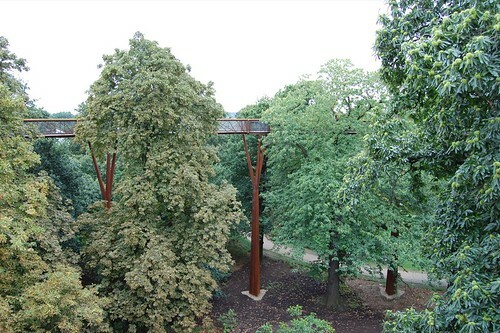 The botanical gardens in west London, Kew Gardens, has a opened new attraction this summer – a treetop walkway. 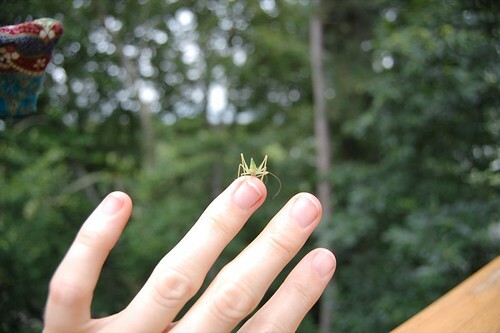 I went with some friends to picnic in the gardens and explore this new perspective on the natural world – treetop vistas are no longer exclusive to David Attenborough! The stilts on which the walkway is built are made of rusty-looking iron and blend in nicely with the surrounding tree trunks. The wooden bannisters/handrails are made from oak trees that have been blown down in gails at Kew. The flooring is a wire mesh so if you really want to freak yourself out you just look straight down! Back on ground level, we were invited to listen to the sound of a Eucalyptus tree trunk. 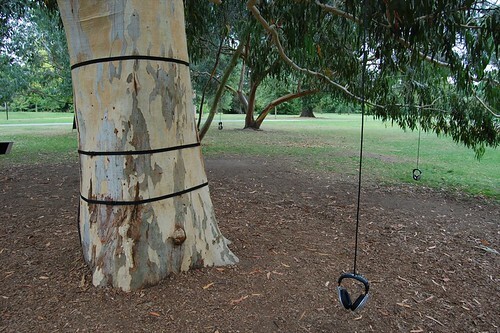 Several headphones hung from the branches of the tree, and listening to them, you could hear a kind of rushing/rumbling sound. It was difficult to fathom that this sound wasn’t just random disturbance on an amplifier, but a good excuse to hang around an utterly stunning tree for while. See all of my recent photos from Kew Gardens on my Flickr stream. Previous Post:Supermarkets are lying about their opening hours, and we want the Prime Minister to put a stop to it! That sounds awesome! I wonder if anyone has posted that kind of tree audio on the web? that looks a wonderful walkway, but I guess it might be vertiginous…. Yes it was vertiginous – at least, for those who suffer from vertigo: one of my friends had to go back down to earth again pretty quickly and have a lie down, cos it didn’t make her feel too good!